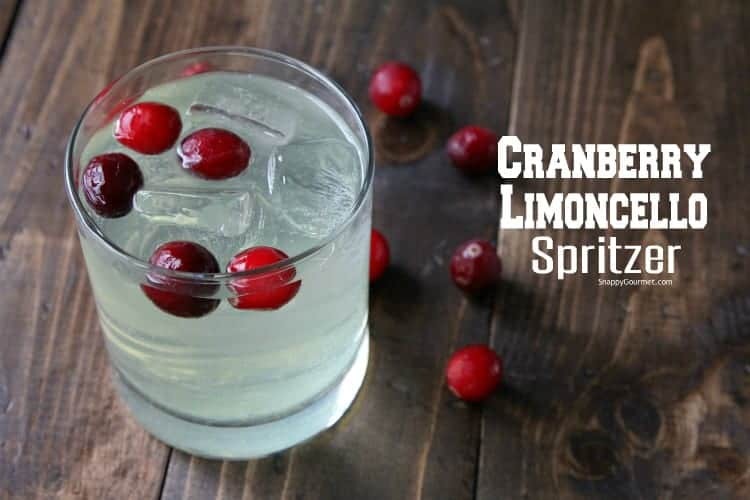 Cranberry Limoncello Spritzer, an easy Italian cocktail recipe with cranberry juice and lemon limoncello liqueur. A quick and easy limoncello drink recipe perfect for Christmas and the holiday season! New today is this fun Cranberry Limoncello Spritzer cocktail recipe just in time for Christmas! 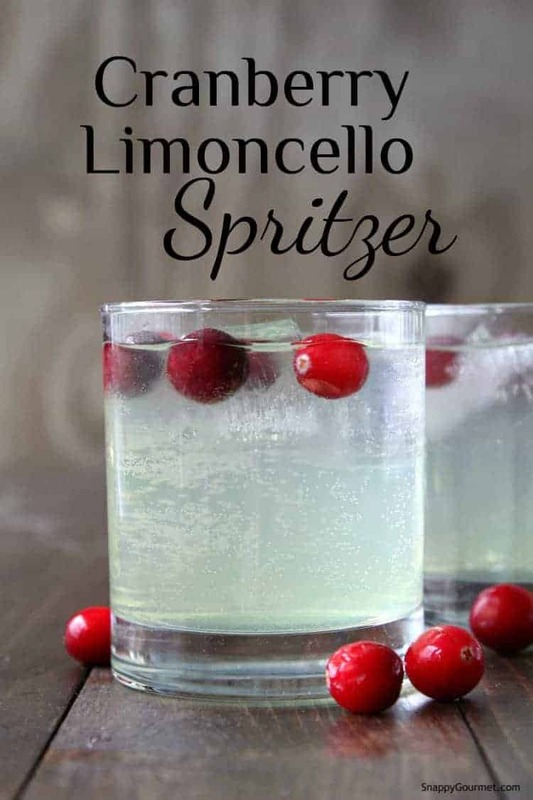 It combines Italian Limoncello along with cranberry juice and a few other ingredients. This is such a quick and easy Limoncello cocktail, that is perfect for winter parties! Cranberries are so popular this time of year! Of course most people think of cranberry sauce, like my homemade Orange Cider Cranberry Sauce, but there are so many other fun options for cranberries this time of year. So save some! This Cranberry Limoncello Spritzer is what I’d like to call an Italian American Christmas fusion drink. Haha! 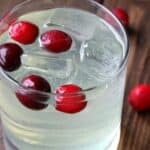 We’re always looking for a new Limoncello drink recipe, so thought I’d make one that combines the popular Limoncello with cranberries. First let’s talk about Limoncello. If you’re wondering what it is, it’s an Italian lemon liqueur mainly produced in Southern Italy. Although it’s made various places now. Limoncello is generally made by steeping lemon zest and/or peels in alcohol then combined with simple syrup (sugar and water). The type of alcohol and simple syrup may vary especially if it’s homemade limoncello. Limoncello is traditionally served chilled as an Italian after dinner drink in small chilled glasses. 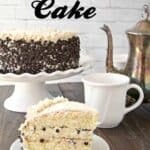 However, now you will probably notice it is used in a variety of cocktails and other recipes such as main dishes and desserts. How to Make a Spritzer? You’ve probably heard of a wine spritzer, but how about an Italian spritzer? :) Ok so I kind of made that up, but sounds good right? A spritzer generally combines white or red wine with sparkling soda such as soda water, sparkling water, or even ginger ale or lemon lime soda. There are many variations! It’s generally best to make sure all your ingredients are cold before making a spritzer. You can serve the drink over ice or without ice. Some spritzers have fruit or slices of citrus fruit such as lime or lemon. 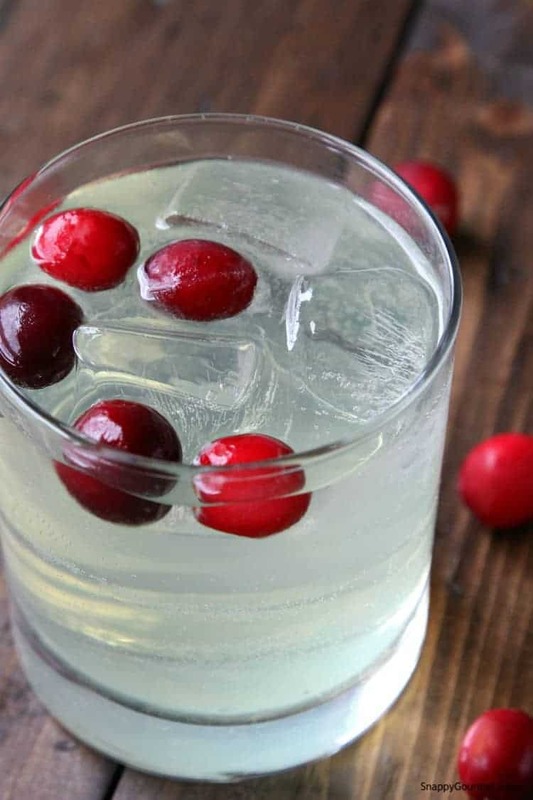 This limoncello and cranberry spritzer is quick and easy! Feel free to make changes to your personal taste. Combine the Limoncello and cranberry juice over ice then top with sparkling water. You could easily make a big batch of this cocktail and serve it out of a punch bowl or pitcher. If you are making in advance, I’d suggest adding the sparkling water right before serving so it doesn’t go flat. Instead of sparkling water you could add something else such as tonic water, ginger ale, or lemon-lime soda. I find some Limoncello very sweet though so I’d test the drink out with the soda first to make sure you like it. Instead of white cranberry juice, you can also use regular cranberry juice. 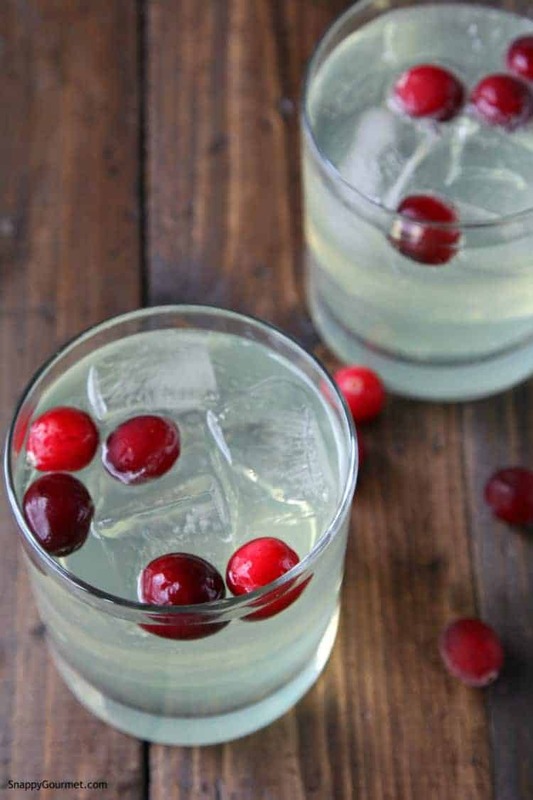 To add a little holiday and Christmas cheer to this cocktail, I added some white cranberry juice and some cranberries that I froze (leftover from Thanksgiving…). Since the cranberries are frozen they also help to keep the cocktail cold, bonus! You don’t need to freeze them though. Since there is typically SO much food during the holidays, I thought this light cocktail fit perfectly with all the seafood and other dishes. It’s also a great addition to a Feast of the Seven Fishes menu. Feast of the Seven Fishes is eaten by Italian Americans usually for Christmas Eve and generally features at least seven fish/seafood dishes. 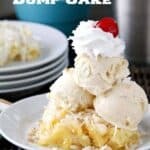 Like fun and creative cocktails? 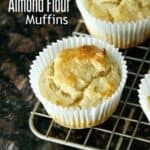 Check out all my other cocktail recipes for more great ideas! 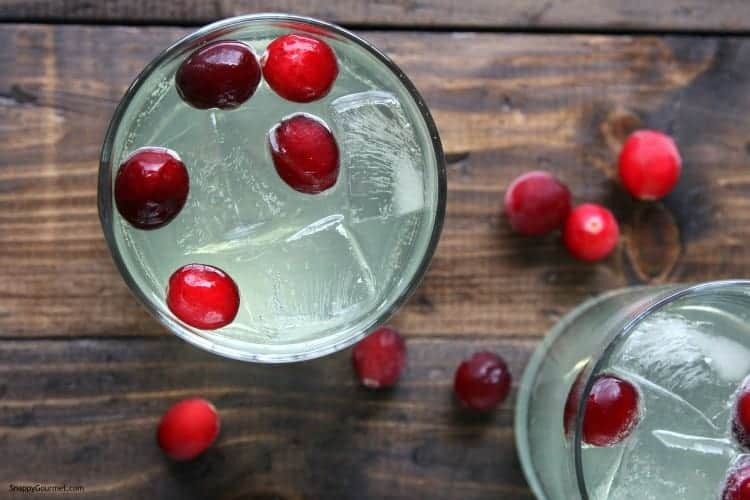 Hope you enjoy this Cranberry Limoncello Spritzer Cocktail recipe! Check out all my other great cocktail recipes like my Matador Cocktail! 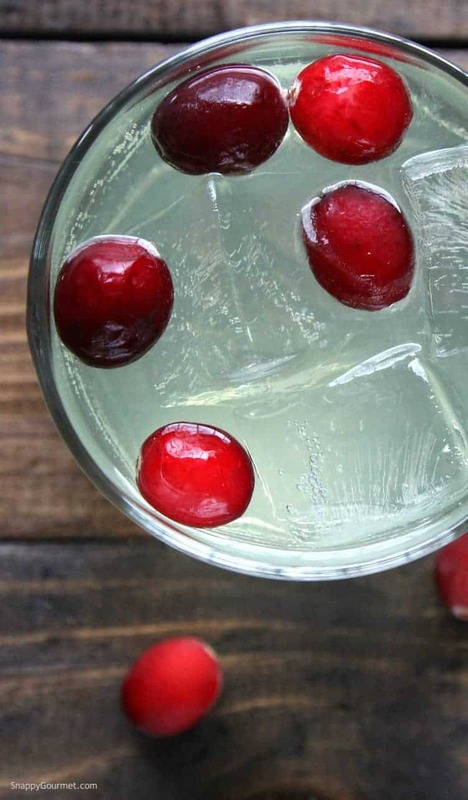 A fun Italian inspired cocktail for the holidays. SNAPPY TIPS: I'd suggest not adding the sparkling water until right before serving so that it's not flat. SNAPPY SUBSTITUTIONS: Instead of sparkling water you could add lemon-lime soda, ginger ale, tonic water, or your favorite alternative. 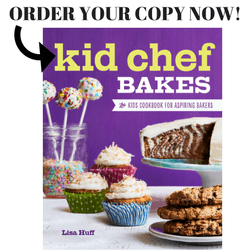 Looking for more Italian inspired recipes? 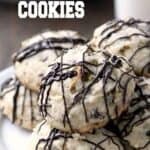 How about some Cannoli Cookies? Or this homemade Tiramisu (Food Network) and Limoncello Gelato (Taste of Home) look great too! I think the fizz and citrus in this cocktail sound like the perfect accompaniment to all of our delicious dishes – fusion at its finest. ;) Saluti! 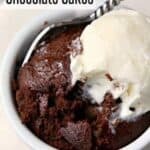 This sounds yummy, I am thinking of adding Prosecco in place of the sparkling water. I’m sure Prosecco would be good too! This cocktail looks so refreshing and light! The cranberries bring in Christmas, and the limoncello brings in Italy! Perfect! I love the sound of this festive cocktail! It’s the perfect way to kick off our Italian feast! Love that you added cranberries. They give it that festive holiday feel. This is a cocktail I would love and perfect with our Feast of Seven fishes. Oooh! I wouldn’t be able to stop at just one of these lovely beverages! 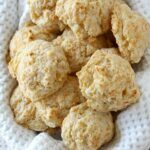 Anything with Limoncello is wonderful and I love the combination you’ve come up with! Great addition to the traditional Feast of the Seven Fishes! It is a wonderful fusion drink! So lovely to have before a Feast of the Seven Fishes in America. I know my mother-in-law just loves cranberries and cranberry juice and can’t get enough of it when she visits us from Italy! :) Thank you for being a part of our celebration!! Buon Natale!